Filled with flowers, pagodas and cheerful waiters, this is a good Thai restaurant in Paris. Closed Sat. lunch, Open daily until midnight, Brunch Sun. 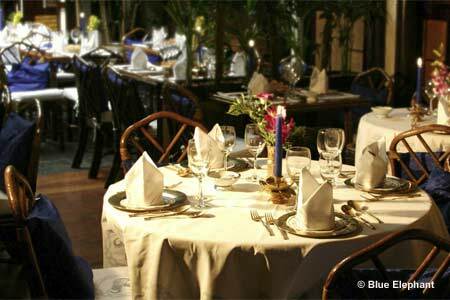 : Filled with flowers, pagodas and cheerful waiters, this is a good Thai restaurant in Paris. The menu is miles long, and many of the dishes are fiercely fiery (the hottest are marked with three red elephants). The shrimp curry is quite fine, as are the Fomyang soup and the garlicky pork. For dessert, try the delicious jasmine tart.